At Alliance we are experts in the provision of temporary decorating staff to companies of all sizes throughout the UK. 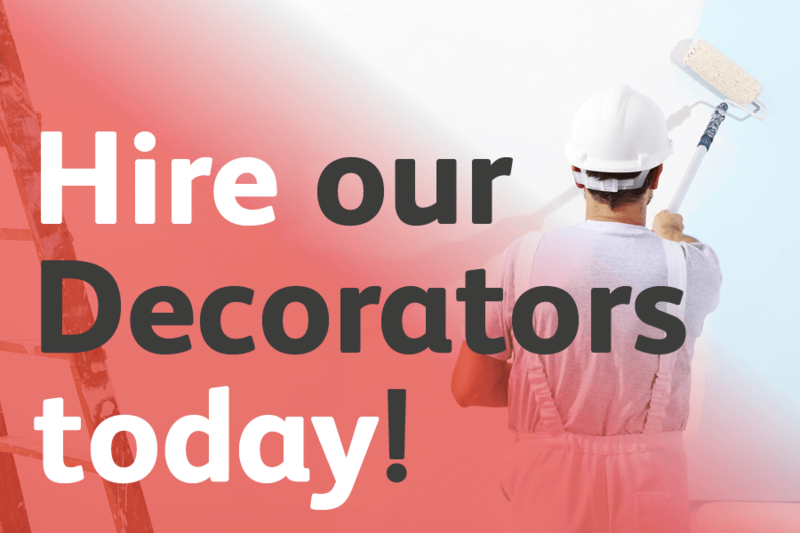 Whether you are needing additional decorators for a large contract, or you are looking for local decorators to save on un-productive transport and accommodation costs, we can help. We have thousands of professional decorators on our books throughout the country – all of whom undergo thorough checks before being sent to site. Although very rarely used, clients have access to a unique Eight Hour Guarantee, providing you a replacement decorator at no cost, should you not be happy with an individual’s work within the first working day, for whatever reason. That’s how confident we are in our team. Solely working in the decorating industry, allows us to understand exactly what our clients need, working flexibly to fulfil your particular requirements. After all, every company is different. We guarantee you high quality decorators, superior customer service and transparent pricing structures. We’ll also do whatever we can to make your life easier. If you’d prefer that your clients do not know you are hiring agency staff, work with us as a silent partner, even providing decorators with your company PPE or whites if required. If you need decorators to be able to carry out other duties such as wide vinyl, taping and jointing services, just ask us, as we can usually help. Whatever your needs, get in touch with our team today to find out how Alliance can help you.